With over 40 years of contracting experience the Belarde Company Inc. was established in 1998. Founder, John Belarde grew up learning the construction business working for his father’s general contracting business, John-Wayne Construction. John made the decision to embark on his own and the Belarde Company was launched with the intent to specialize in decorative concrete. Today the company has expanded into providing general contracting, sub-contractor, and pre-construction services for both public and private sector clients. As an award winning concrete contractor in the Pacific Northwest, Belarde Company has completed projects in Alaska, Washington, Oregon, and Idaho. The company excels in all types of civil, structural, decorative, and restorative concrete services for both interior and exterior applications. We recognize the importance of using sustainable building methods and materials along with creating a service oriented partnership with our clients for the success of current and future projects. Beyond the Belarde Company’s commitment to excellence is their commitment to safety. 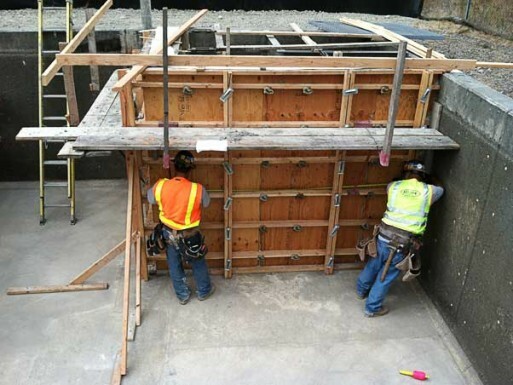 The safety of its crews and everyone else on the jobsite is paramount to our cultural values.